Distinctly pale and with the most delicate of pear aromas, Secret is assured and effortless, remarkable for its texture and sensation in the mouth. Made from lower yields, it is delicately scented, cool and yet underlaid with slightly more exotic aromas that betray its Provençal origins - herbs, fennel, a touch of aniseed. It is finely textured (thanks to the Cabernet Sauvignon), persistent and warming, without being overtly alcoholic. Above all, there is a freshness, a hint of white pepper, which balances the fruit on the palate, ensuring a dry, mouthwatering finish. This is a dry, highly sophisticated style, very drinkable on its own and supremely well matched to Provençal food. Chateau Léoube is an astonishingly beautiful Provencal estate estate lying next next to the Mediterranean in the shelter of Cape Bénat. The Bamford family (of JCB fame) purchased the domaine in 1997 and in 2000 recruited Romain Ott, 4th generation winemaker of the fabled Domaine Ott wine making family. 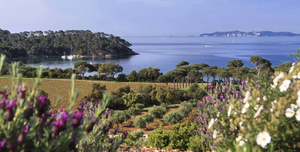 The vines are encircled by wild vegetation composed of rosemary, white heather, sage, myrtle and marine lavender along with clumps of conifers, make this one of the lushest natural environments on the Côte d’Azur. The scent of warm pine resin, grapes waiting to be picked, ripe figs and wild thyme are simply intoxicating. Romain has been given the resources to produce wines of uncompromising quality from the family's 65 hectares of vines. 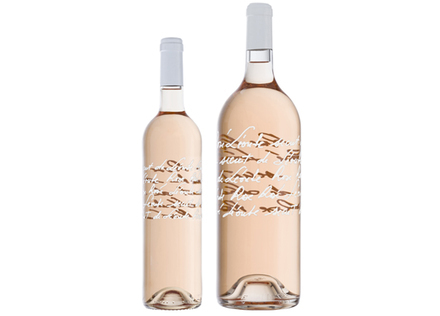 Production includes white and red wines, but given the location the focus is of course on Rosé. The estate is farmed organically, grapes are harvested and sorted manually before being pressed to achieve delicate and careful extractions. Temperatures controlled stainless steel fermentation followed by malolactic fermentation ensures bright clean delicate wines are produced that are the epitomy of classic Provencal Rosé. “The goal is to improve the wines and enhance their quality while maintaining the “Léoube style”: a genuine, precise, fine, balance and elegant wine, dedicated to the pleasure of every moment,” emphasizes Romain Ott.